System Monitor: The System Monitor is one of the main MMC snap-ins used to monitor system performance. This was previously the Performance Monitor tool in Windows NT. The name change to System Monitor occurred in Windows 2000. Through System Monitor, users can monitor various elements of the server’s performance, collect and view real-time data, or view historically collected data. System Monitor can be displayed in a graph, histogram, or report format. It uses objects, counters, and instances to monitor the system. An object can be described as a collection of counters that is associated with a system resource or service that produces the data that users can assess. When an object executes a function, its associated counters are updated. A counter can be regarded as a data reporting component in an object. The counter represents data for a particular system component or service. An instance refers to the incident of multiple performance objects of the identical type on a computer. An object can have one or multiple instances. Click Start, Run, enter perfmon.exe in the Run box, and OK.
Click Start, Administrative Tools, Performance, and System Monitor. Either choose the Use Local Computer Counters option to monitor the local computer or the Select From Computer option. When the latter option is used, users can select a computer from the list and choose counters for that particular computer. Choose the performance object from the list. Click the All Counters option to monitor all counters associated with the object or click the Select Counters From List option to individually select counters. Click the All Instances option to track all instances or click the Select Instances From List option to individually select instances. Click the Add button to add the counters. Performance Logs and Alerts: Users can create counter and trace logs and configure alerts with Performance Logs and Alerts. Any created logs can be viewed through System Monitor or exported to a database or spreadsheet. Because performance logging runs as a service, a user does not need to be logged on to the computer being monitored to collect data. Users can view data while or after the data has been collected. They can define an alert for a counter to initiate an action when the counter value surpasses or drops below a predefined setting. Counter logs record system performance data at specified intervals. Trace logs record comprehensive system events after the particular event occurred. Click Start, Administrative Tools, Performance, and expand Performance Logs And Alerts. Task Manager: To view all applications and processes running on a Windows Server 2003 computer and a few common performance measures, use Task Manager. Use Task Manager to view system activities such as active applications and processes, memory, CPU process use, and the users who are currently logged on to the server. Users can also view a number of memory and network usage statistical information. Click Start, Run, enter taskmgr.exe in the Run box, and click OK.
Press Ctrl + Alt + Delete and select the Task Manager button. Right-click an empty section of the taskbar then click Task Manager. Network Monitor: Users can use Network Monitor to monitor network traffic and to troubleshoot network issues or problems. They can also use Network Monitor to gather network information that can be used in capacity planning efforts and to establish baselines. Network Monitor shipped with Windows Server 2003 allow the user to monitor network activity and use the gathered information to manage and optimize traffic, identify unnecessary protocols, and to detect problems with network applications and services. In order to capture frames, users have to install the Network Monitor application and the Network Monitor driver on the server that Network Monitor is going to be run on. Network Monitor saves captured data to a temporary capture file that is then saved with a .CAP extension. This enables captured data to be examined in Network Monitor. Users can design a capture filter to capture only specific frames configure it to respond to a specific condition. When the Properties dialog box is displayed, click the Install button. When the Select Network Component Type dialog box is displayed, click Protocol in the Component list and click the Add button. When the Select Network Protocol dialog box is displayed, click Network Monitor Driver. When the Add Or Remove Programs dialog box is displayed, click Add/Remove Windows Components. This initiates the Windows Component Wizard. Select Management and Monitoring Tool and click the Details button. 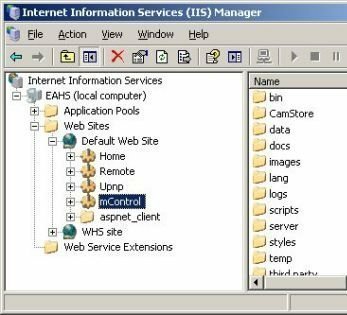 Select the Network Monitor Tools check box and click OK.
Simulate the effect of multiple web browsers concurrently connecting to IIS to run applications. Simulate the effect of multiple web browsers concurrently connecting to IIS to download Web content. Simulate different loads so that the user can determine the effect on the Web server. Available Bytes – maintain over 20MB. Cache Bytes – a decrease could be indicative of IIS memory depleting. Committed Bytes – maintain beneath 75% of physical memory. Page Faults/sec – consider adding additional RAM when hard page faults are degrading IIS performance. Pages/sec – maintain a low figure. Consider supplementing RAM when the counter is over 80. Pool Nonpaged Bytes – if the counter gradually increases, verify that none of the applications have memory leaks. % Processor Time – a processor bottleneck typically exists when this counter is over 80 for a continued time and network usage is low. % Disk Time – it is recommended to maintain a low value for this counter. Avg. Disk Bytes/Transfer – it is recommended to maintain a high value for this counter. Avg. Disk Queue Length – it is recommended to have a value of 4 or lower. Bytes Total/sec – the value should be checked to the bandwidth of the network card to determine if any network connection bottlenecks exist. Bytes Total/sec – the counter value should be high. File Cache Hits – for static content, the counter value should be quite high. File Cache % – a low counter value could possibly mean that the applications’ designs have to be re-examined. ISAPI Extension – a drop of this counter during heavy load could mean that the application might be a bottleneck. Requests/Sec – a drop of this counter during heavy load could mean that the application might be a bottleneck. Request Queued – maintain a low counter value. Request Wait Time – the counter value should generally be low. CPU monitoring, Processor affinity, Health monitoring, Rapid-fail protection, Recycling, Startup and shutdown time limits, Queue length limits, and Idle timeout capabilities. Improved performance over ASP applications, extensive programming language support, and XML integration. Right-click the Web Sites node and click Properties from the shortcut menu. When the Web Site Properties dialog box opens, click the Services tab. 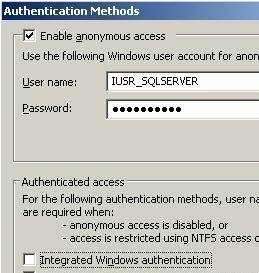 To use worker process isolation mode, clear the Run WWW service in the IIS 5 isolation mode checkbox. Once a predetermined number of minutes of inactivity have passed. The default setting is 1740 minutes. Once a worker process has serviced a predefined number of requests. The default setting is 35,000 connections. After the virtual memory usage by the worker process attains a specific threshold. At a specific time of the day. Locate and right-click the application pool associated with the worker process and select Recycle from the shortcut menu. The Recycling tab is utilized for configuring recycling. A lengthy request queue can result in clients considering the IIS server’s performance slow. To prevent this from happening, limit the request queue for applications in an application pool. This feature is configured on the Performance tab of the Application Pool’s Properties window. Users can enable CPU monitoring to track CPU use by the worker processes of an application pool. They can also configure IIS to shut down the worker processes of the application pool when their CPU usage has exceeded a specified threshold. This feature is also configured on the Performance tab of the Application Pool’s Properties window. Web Gardens, another IIS feature, improves IIS performance by allowing multiple worker processes to service one application pool. When a worker process fails, the remainder of the worker processes continue to service the application pool. Enable the checkbox under the Request Queue Limit section of the Performance tab and set the appropriate limit. Enable the checkbox under the CPU Monitoring section of the Performance tab and specify the fitting setting value. 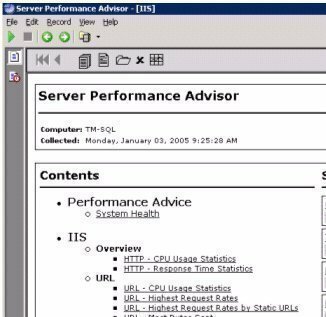 Specify the action that IIS should take when the specified CPU usage level is exceeded. Enable the Web Garden feature by selecting a value greater than one in the Performance tab’s Web Gardens area. A value of one indicates that the Web Garden feature is disabled. Enable health monitoring for worker processes to determine whether they are functioning correctly. Health monitoring is enabled by selecting the Enable Pinging checkbox on the Health tab of the Application Pool’s Properties window. Rapid-fail protection is another IIS feature that enables users to detect when multiple worker processes associated with an application pool are performing incorrectly. Enable rapid-fail protection by selecting the Enable Rapid-Fail Protection checkbox on the Health tab of the Application Pool’s Properties window. To configure the feature, specify how many worker process failures need to occur and in how many minutes before IIS shuts down the application pool that the worker processes are servicing. Users can also configure Startup Time Limit and Shutdown Time Limit settings on the Health tab for worker processes that are not running as they should. The Startup Time Limit value indicates the time interval in which another worker process should replace an unhealthy worker process. The Shutdown Time Limit value indicates the time in which an unhealthy worker process can shut itself down before IIS forcefully terminates it. HTTP Keep-Alives: This feature allows users to maintain TCP connections between the Web server and a client for a specified duration. Right-click the Web Sites node and select Properties on the shortcut menu. When the Web Sites Properties dialog box opens, click the Web Site tab. To enable HTTP Keep-Alives, check the Enable HTTP Keep-Alives checkbox. To disable HTTP Keep-Alives, clear the Enable HTTP Keep-Alives checkbox. Global level for Websites and FTP sites. Netscape Navigator 4.5 or above. When the Web Sites Properties dialog box opens, click the Services tab. In order to compress dynamic content, click the Compress Application Files checkbox. In order to compress static files, click the Compress Static Files checkbox. Limiting Connections: Users can also limit the number of simultaneous connections that IIS allows on the Performance tab of the Properties window for a website and on the FTP Site tab on the Properties window for an FTP site. The default setting for Limiting Connections for websites is Unlimited. This means that IIS allows all incoming connections by default. For FTP sites, the default setting is that connections is limited to 100, 000 simultaneous connections. To assist in deciding on the connection limit that should be configured, monitor the Current Connections, Maximum Connections, and Total Connection Attempts counters for the WWW service and the FTP service. Bandwidth Throttling: This IIS feature allows users to specify the quantity of network bandwidth IIS can consume and the quantity of network bandwidth each individual website can consume. It is recommended to enable Bandwidth Throttling if the IIS machine uses over 50% of available network bandwidth. Bandwidth throttling can be enabled and configured on the Performance tab on a website’s Properties window. The recommended setting is 1024 kilobytes/second. AppAllowDebugging: This property should be set to False so as not to negatively impact application performance and should only be set to True on development servers. Enabling the AppAllowDebugging property results in IIS application threads being serialized. AspScriptEngineCacheMax: For websites that are large, it is recommended to increase the AspScriptEngineCacheMax property’s value to increase the number of scripting engines ASP caches in memory. AspScriptFileCacheSize: It is strongly recommended to enable ASP caching to increase the performance of ASP applications. AspQueueConnectionTestTime: It is recommended to set the value of this property to only a few seconds, to compel the IIS server to verify that the client is indeed connected, prior to it servicing his/her request. AspBufferingOn: This property should be set to False so that application output is saved prior to flushing to clients. CacheISAPI: This property should be set to True to improve performance by caching ISAPI extensions in memory. While the majority of IIS configuration information is stored in the metabase, there are still a few IIS settings that are stored in the Registry. The Registry settings that can be tuned to improve IIS performance are discussed below. CacheSecurityDescriptor: Do not change the default value of 1 for this setting because it means that the caching of security descriptors for file objects is enabled. This in turn quickens the retrieval of cached content when an authentication method other than Anonymous access is utilized. CheckCertRevocation: For production servers that are not being utilized for intranet environments, the CheckCertRevocation setting’s value should be 0 (disabled). DisableMemoryCache: A setting of 0 enables static file caching. ListenBackLog: Tune this setting’s value according to the server’s load. MemCacheSize: If the user sets the value of the setting for the cache size, then IIS no longer controls the cache size dynamically. MaxPoolThreads: This setting determines the number of pool threads that can be created for each processor. It is recommended to not set this value to more than 20. MinFileBytesPerSec: Change the setting to limit the time in which the client has to receive a response. ObjectCacheTTL: The value of this setting determines the time duration for which objects are stored in the static file cache. UriMaxCacheMegabyteCount: Through the value of this setting, users can tune the performance of Http.sys. A default setting of 0 allows Http.sys to determine what memory the cache utilizes. UriScavengerPeriod: This setting controls how often the URI cache scavenger removes stale entries. The default value is 120 seconds. DisableLazyContentPropagation: It is recommended that the value of the DisableLazyContentPropagation key be left at its default value of 0. This prevents the Web server from failing when a large quantity of content needs to be updated. UploadReadAhead: This setting determines how much request data IIS accepts prior to forwarding it to a particular application. Increase this value according to the amount of RAM on the server. And that’s with IIS running in the Windows kernel (while G-WAN is running in user-mode). 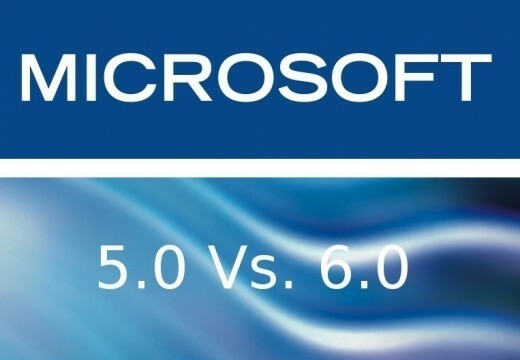 Guess what will happen when G-WAN will bother to release a 64-bit version (like IIS). 140 queries in 0.725 seconds.